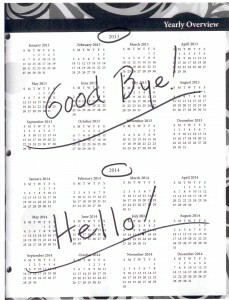 Home » Posts » Attentionology for K-5 Teachers » Say Good-bye! Say Hello! 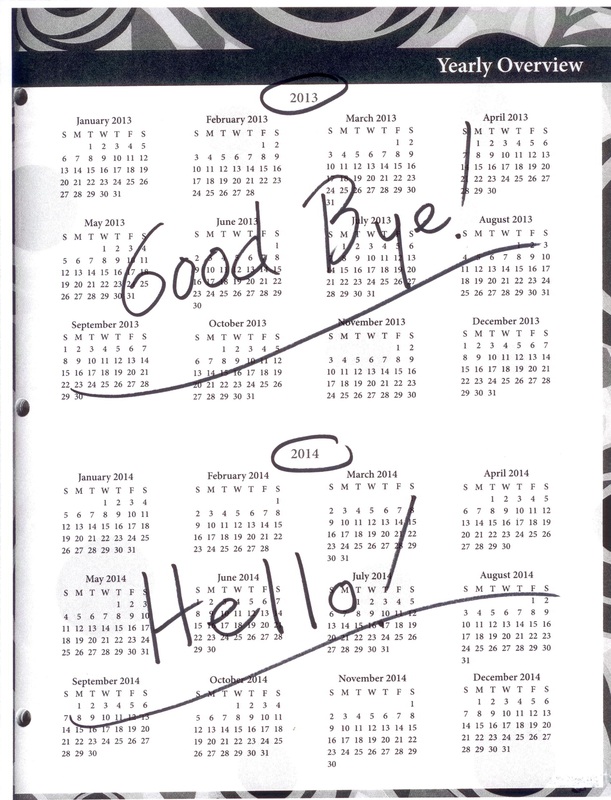 …time to wave good-bye to 2013 and greet 2014 with open arms. For those who begin a new year when the calendar turns to January, as it soon will, it’s a good time to clean up and clean out. Cleaning can be helpful at school as well as at home. The expression, “starting with a clean slate,” comes from the English tradition of sweeping the soot off the hearth at the beginning of the two-faced month of Janus, saying good-bye to the face of the old year and welcoming a new one. Even if you and your students face the same old classroom space in early January, you can enjoy a fresh start by scheduling time to de-clutter storage and learning spaces. Announce your clean-up plans to the class. Offer a lesson in attentionology at the same time by making the connection with your students between de-cluttering and creating a new sense of organization and focus. Offer older elementary school students an analogy between de-cluttering a desk, for example, and de-cluttering one’s mind. Ask your class if mind clutter contributes to short attention spans. Set aside class time and ask students to actually clean out their desks. You may want to assign students to “Clean Teams” and have them straighten out your classroom library books, empty old papers into recycling bins, etc. When the physical cleaning up and clearing out is done, ask students if participating in that task has helped clear their minds for a new year of learning. Discuss other ways to create a new focus at the start of a new year. …help them grasp the concept of de-cluttering their minds with simple dramatic activities. sound and pull your hands away from your face, explaining to the kids that you are clearing your mind. Ask them to do the same. “We’ll start January with clear minds, ready to pay close attention in class and get good work done in 2014,” you can say. Encourage the children to repeat the dramatization and say the words you’ve said aloud together. Your dramatization will help kids remember their class resolution. Ride Into the New Year Ready to Learn! – Share Tina Clark’s poem with your students in grades K -3. 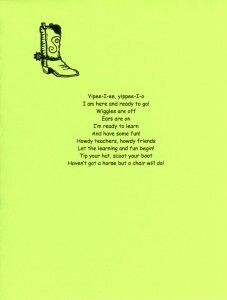 Mrs. Clark’s third grade class recites this cowboy-themed poem in unison to express their readiness to pay attention and learn. Let the learning and fun begin! Haven’t got a horse but a chair will do! Classroom clean-up activities give students ownership in de-cluttering their minds and shared space and teach kids that making a commitment to paying attention is an action, not just some words. Stop back by on Wednesday to start 2014 with Mid-Week Focus. 1 Pings/Trackbacks for "Say Good-bye! Say Hello!"